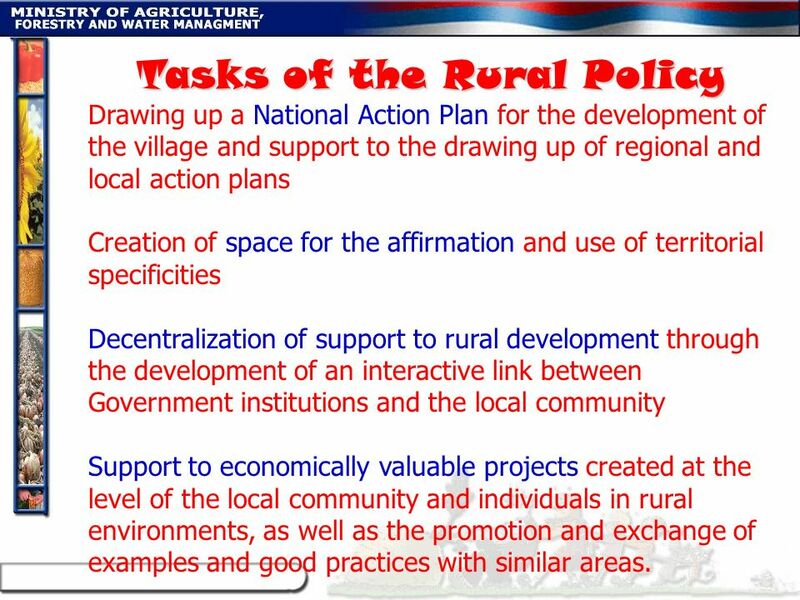 Drawing up a National Action Plan for the development of the village and support to the drawing up of regional and local action plans Creation of space for the affirmation and use of territorial specificities Decentralization of support to rural development through the development of an interactive link between Government institutions and the local community Support to economically valuable projects created at the level of the local community and individuals in rural environments, as well as the promotion and exchange of examples and good practices with similar areas. 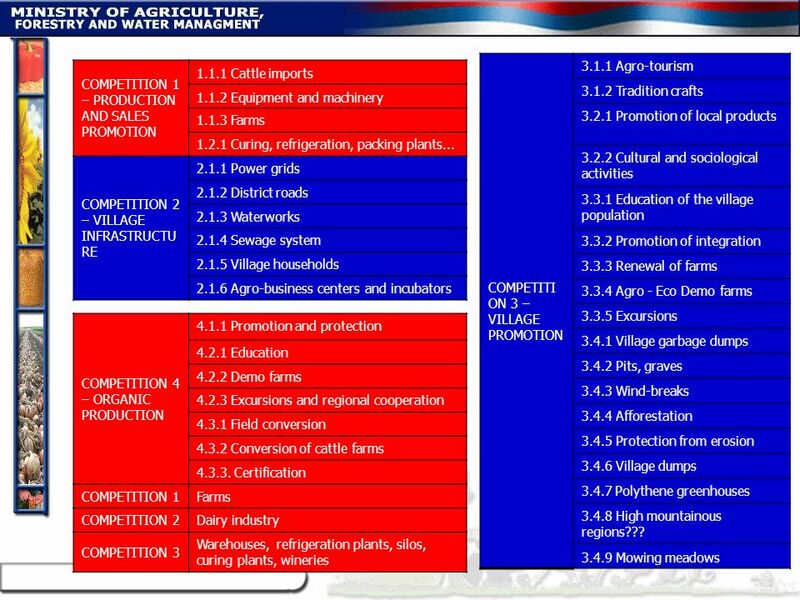 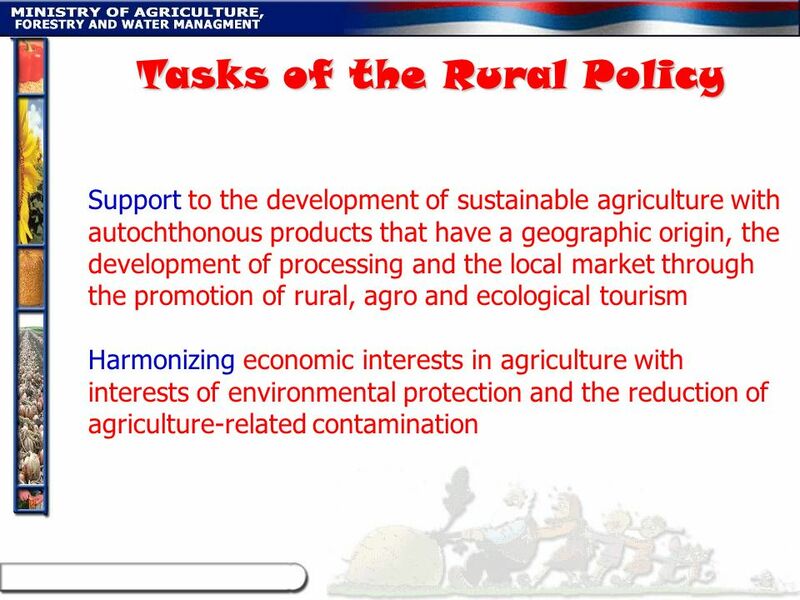 33 Adoption of the basic principles of rural development. 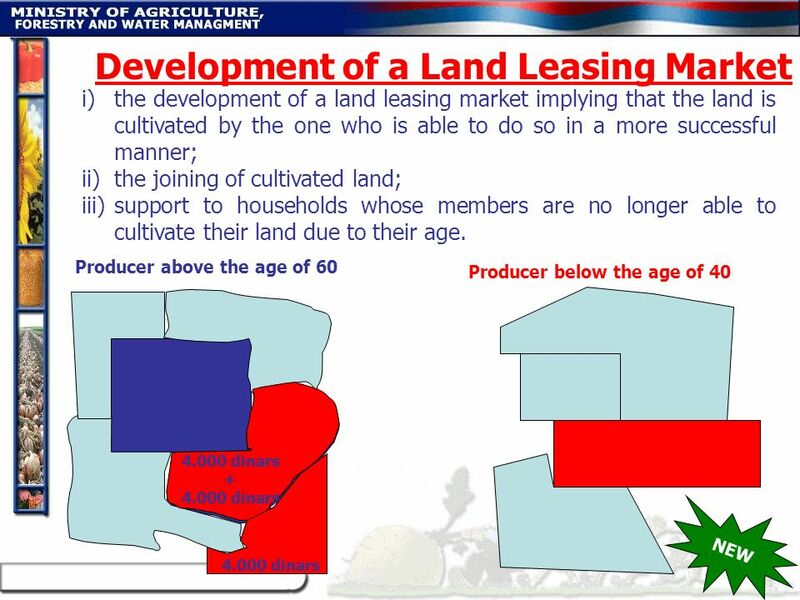 39 LFA A marginal area is an area of a municipality on whose territory there exist natural (high altitude, poor land quality, slanting terrain, floods and all types of erosions) and legal (protection of nature and protection of water sources) restrictions for the development of intensive agricultural production on large areas. 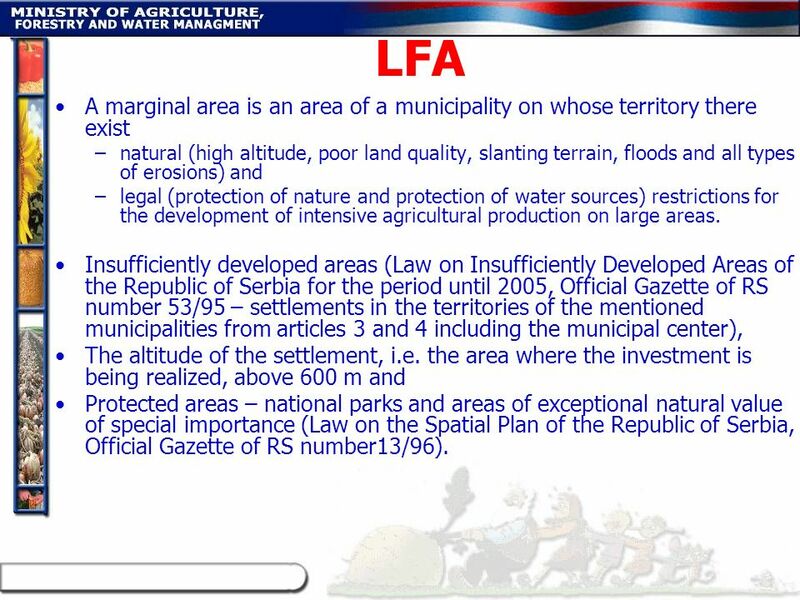 Insufficiently developed areas (Law on Insufficiently Developed Areas of the Republic of Serbia for the period until 2005, Official Gazette of RS number 53/95 – settlements in the territories of the mentioned municipalities from articles 3 and 4 including the municipal center), The altitude of the settlement, i.e. 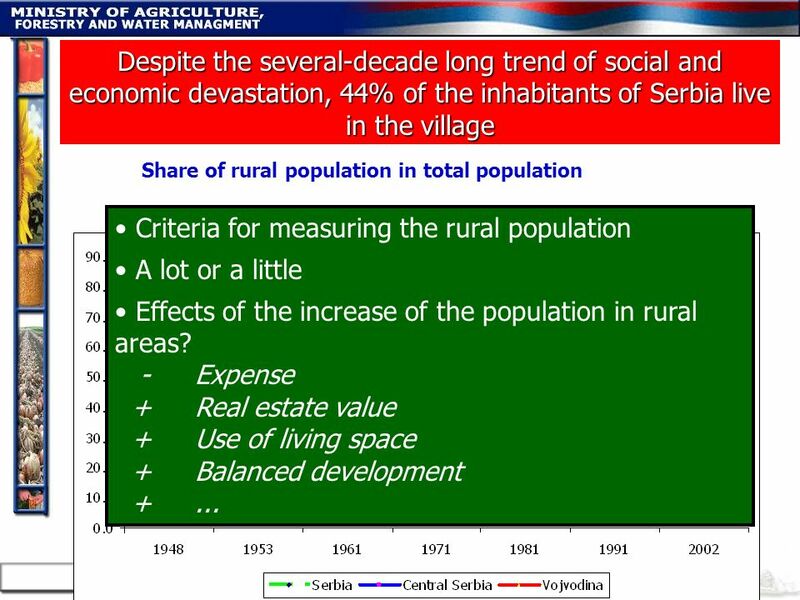 the area where the investment is being realized, above 600 m and Protected areas – national parks and areas of exceptional natural value of special importance (Law on the Spatial Plan of the Republic of Serbia, Official Gazette of RS number13/96). 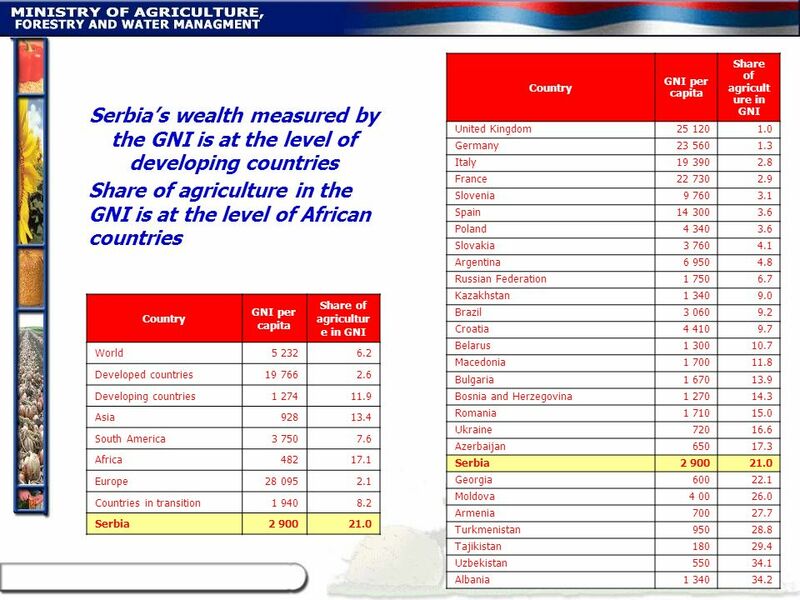 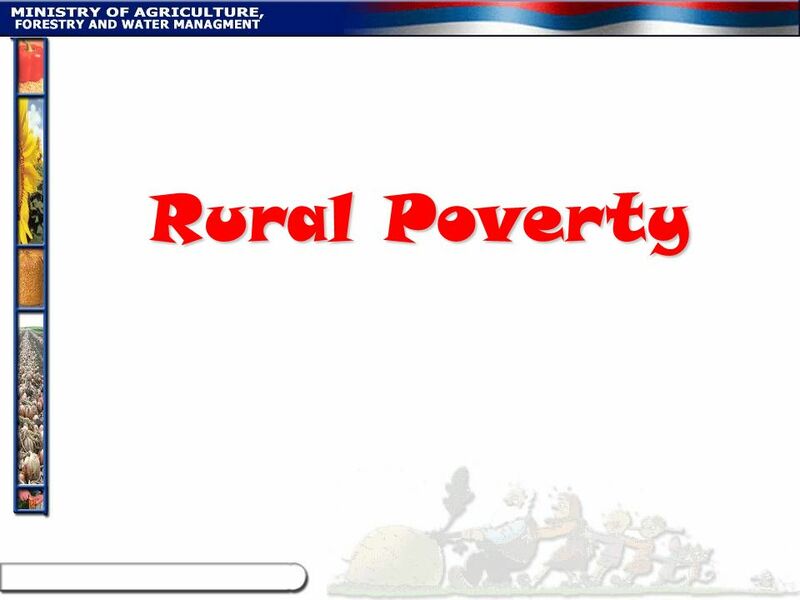 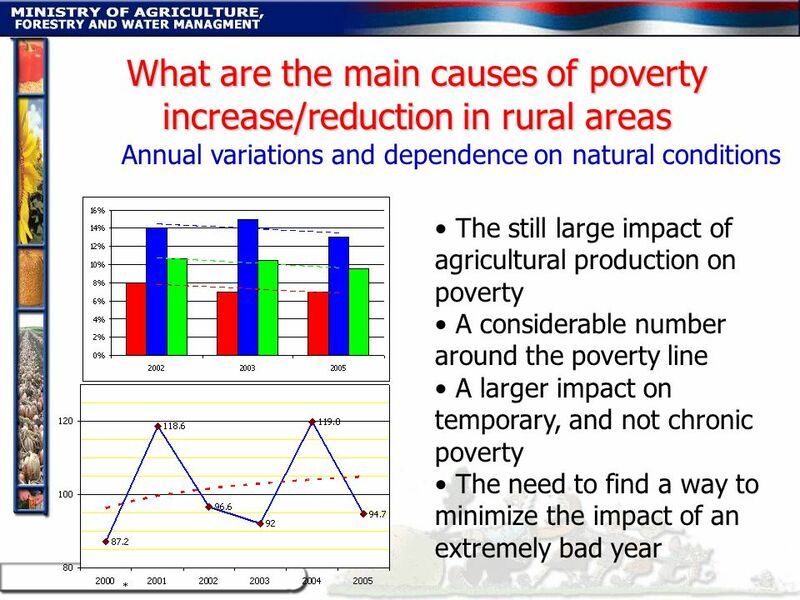 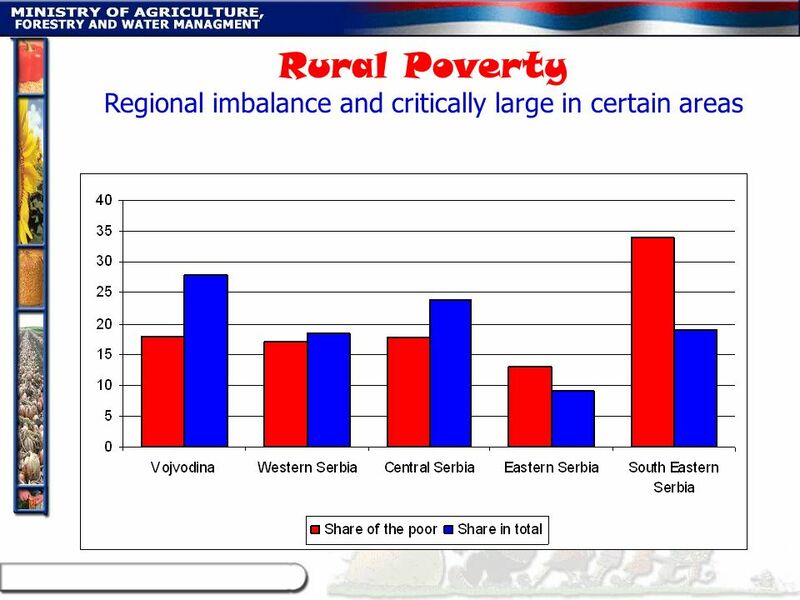 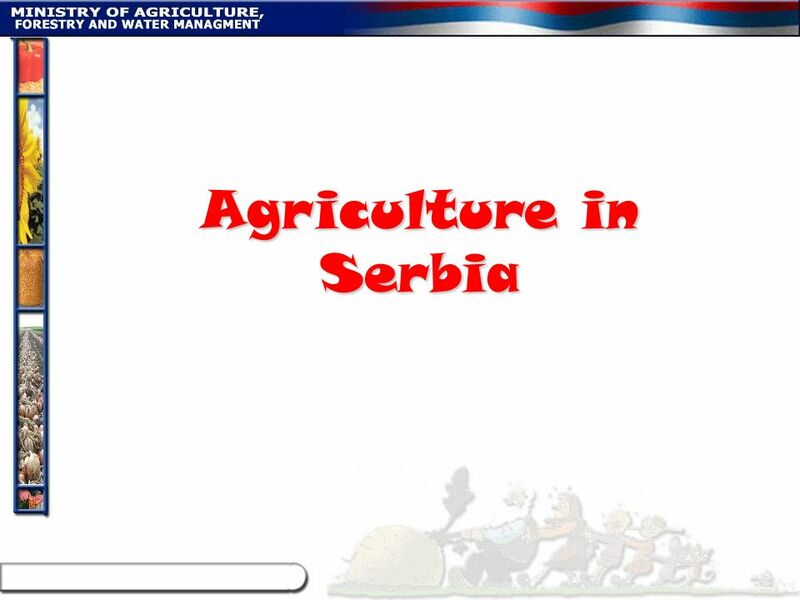 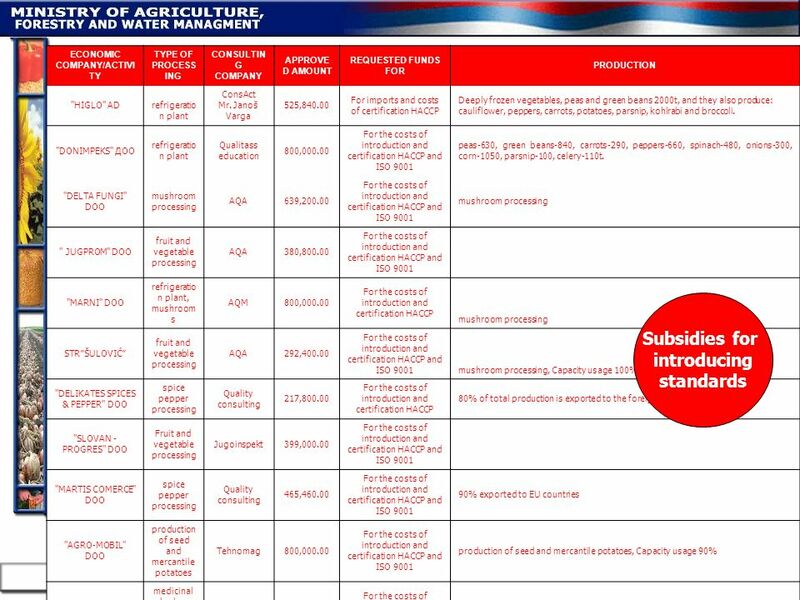 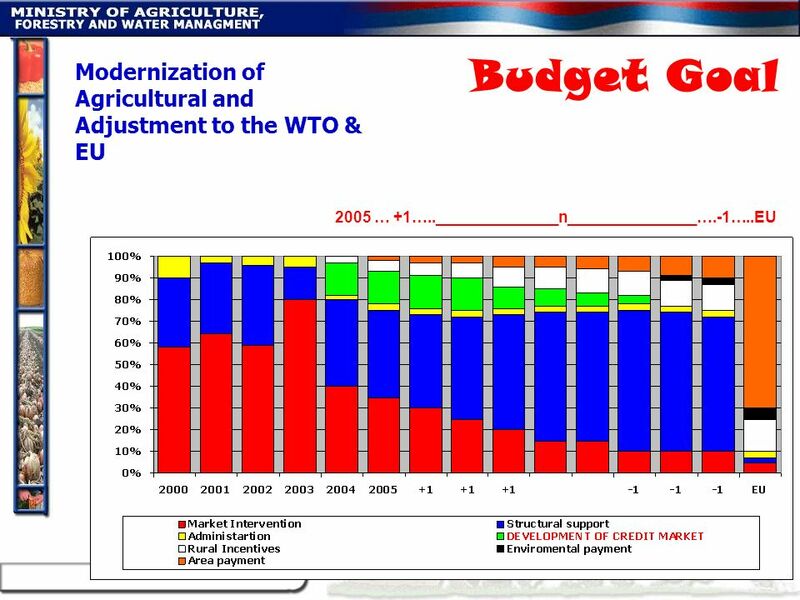 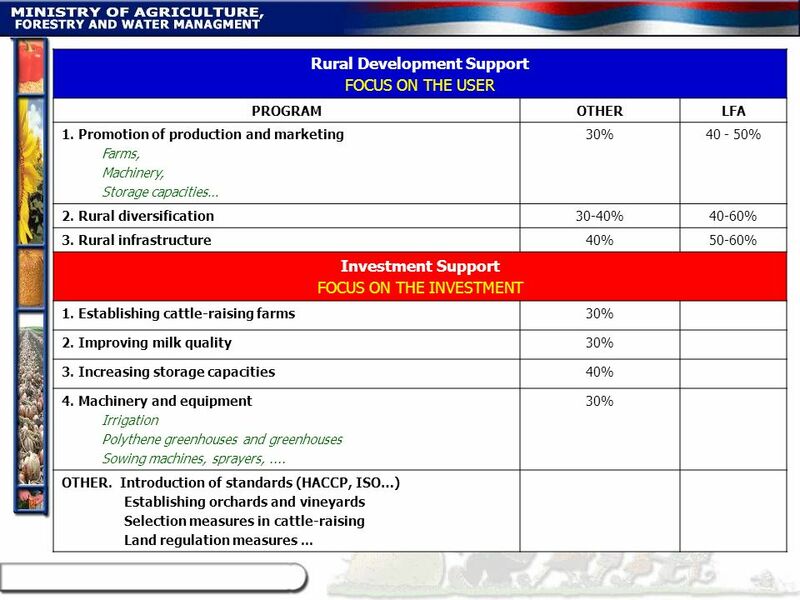 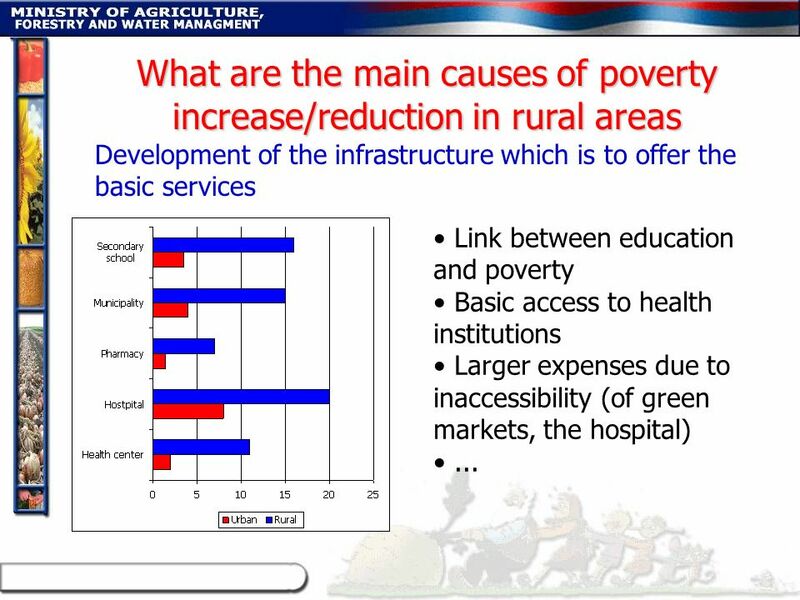 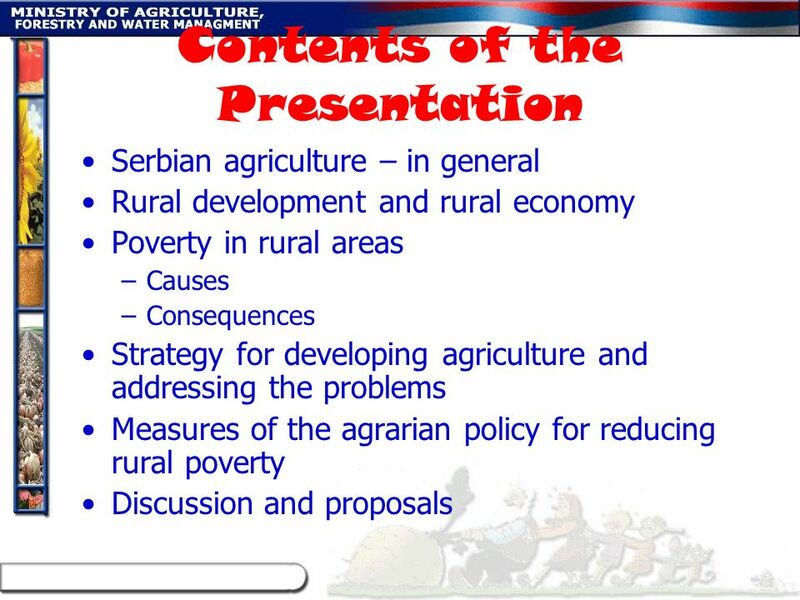 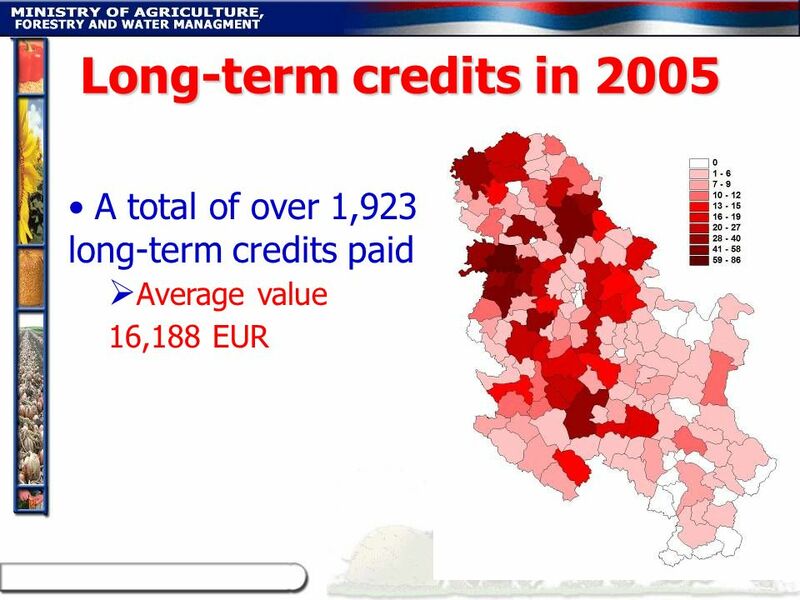 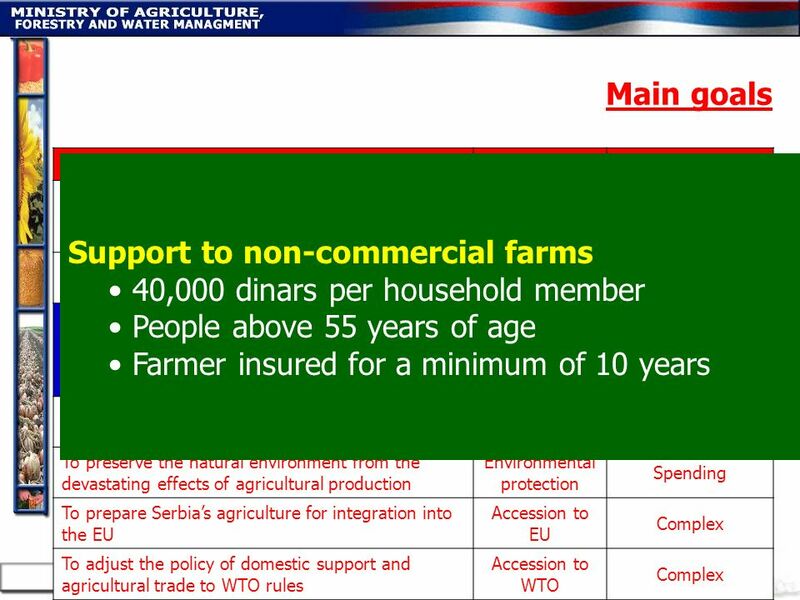 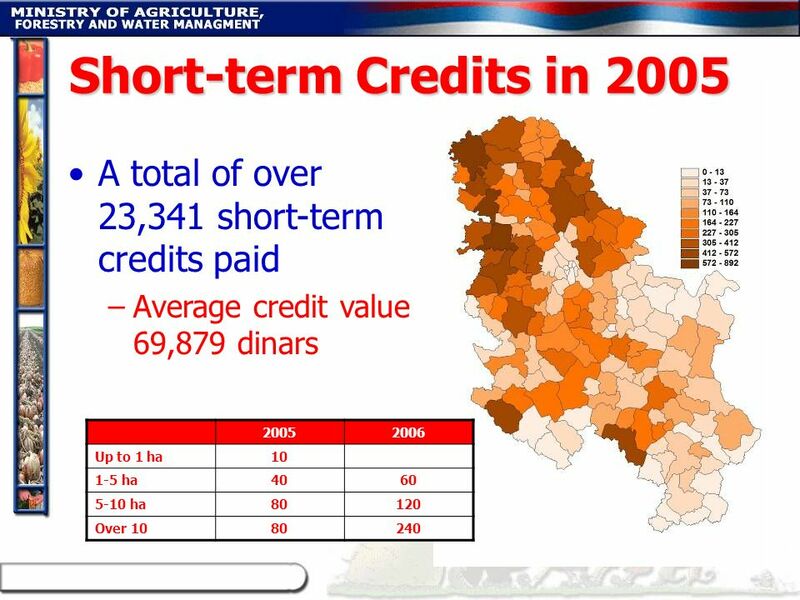 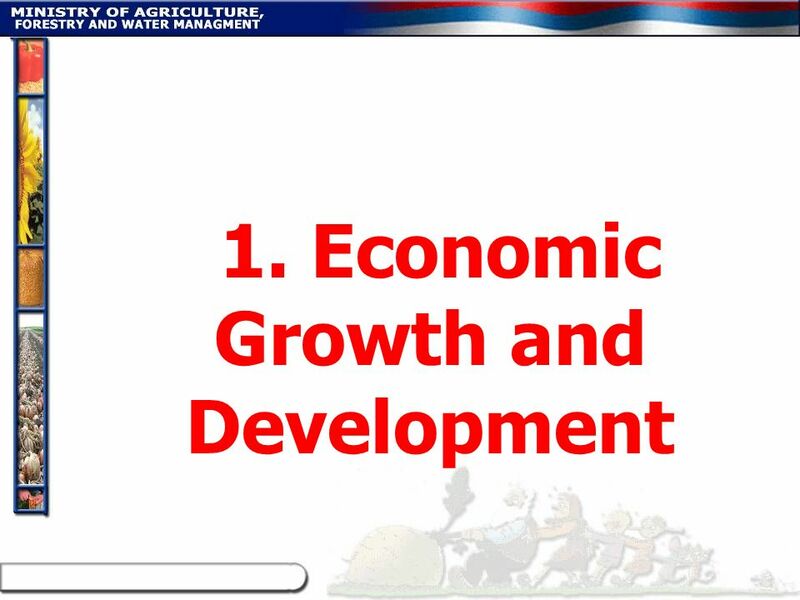 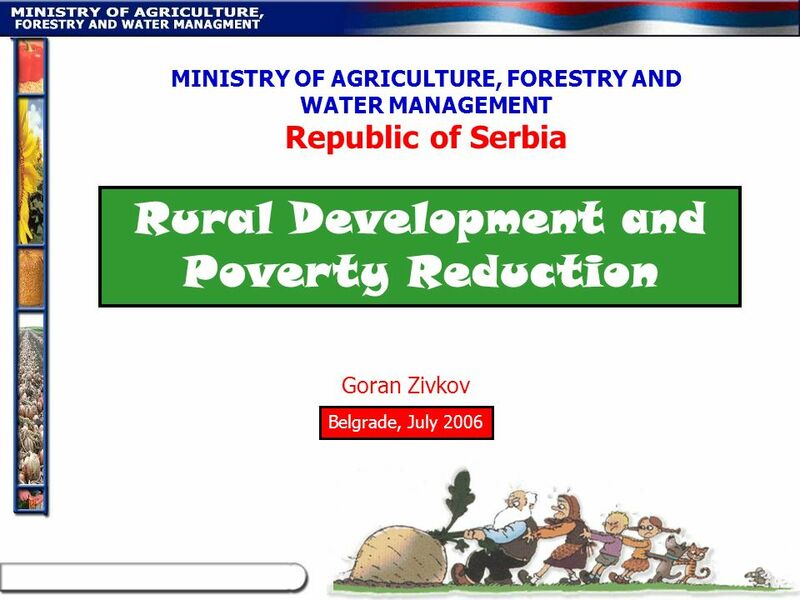 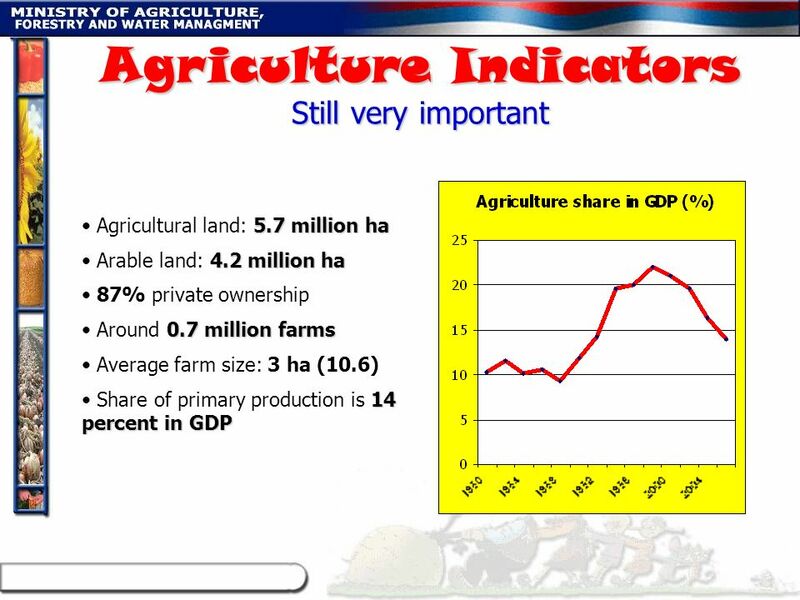 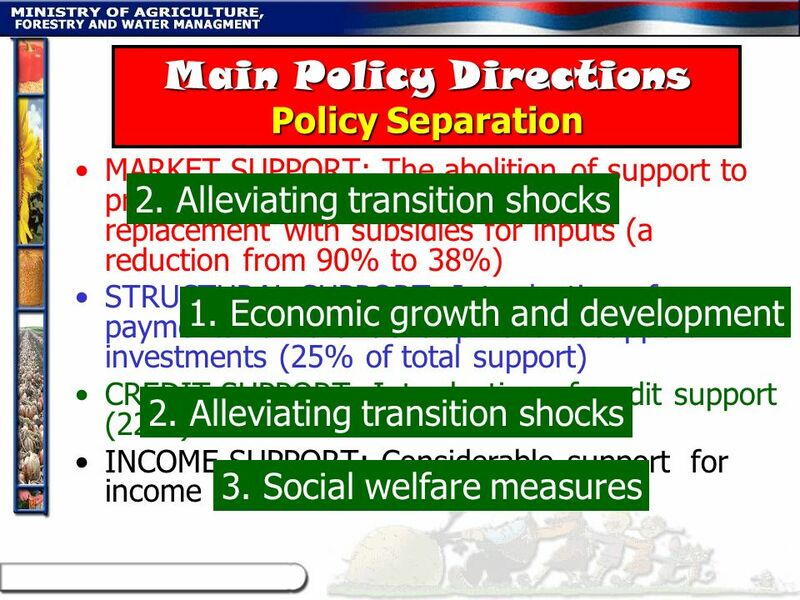 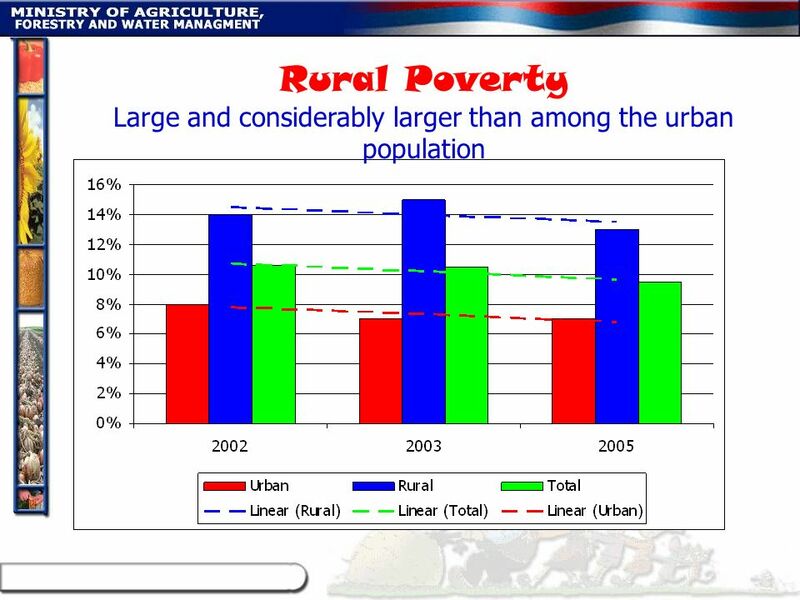 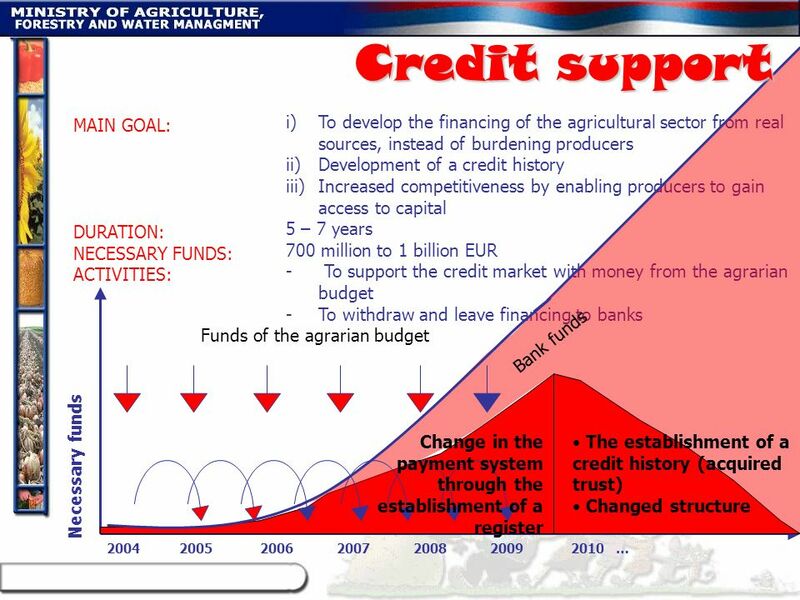 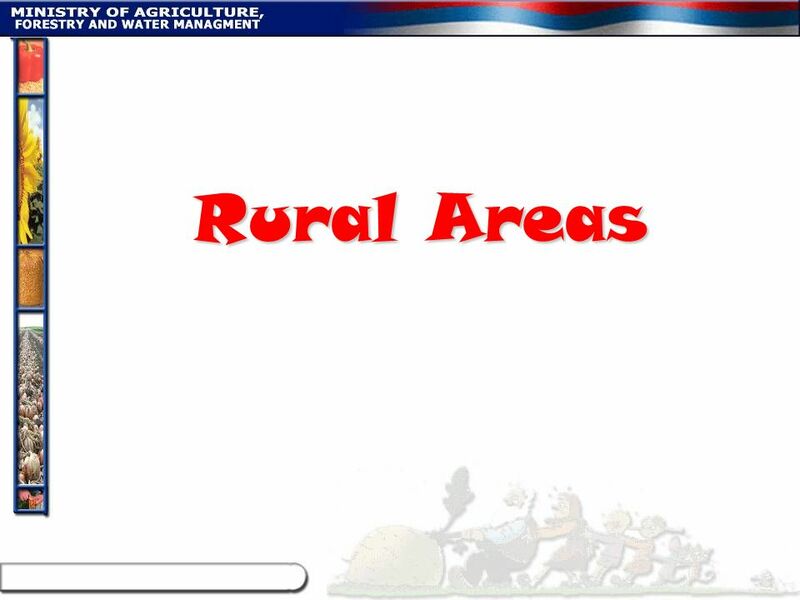 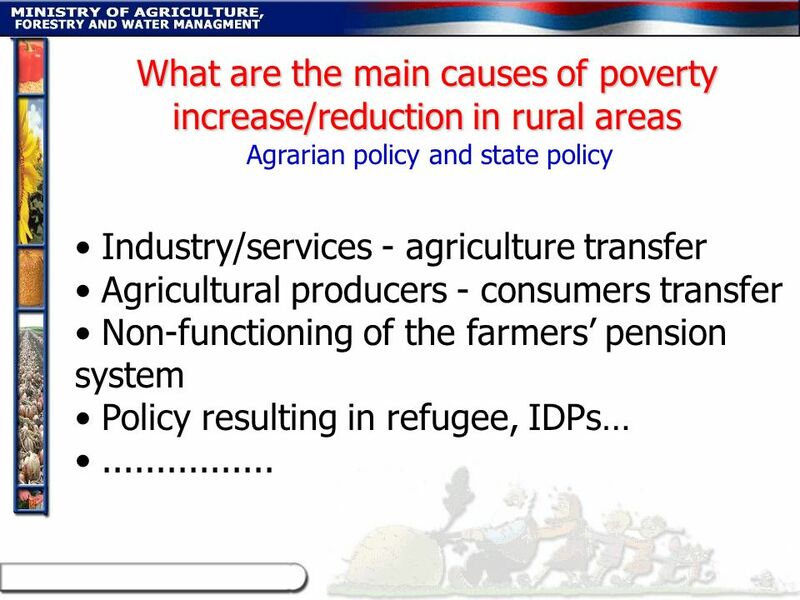 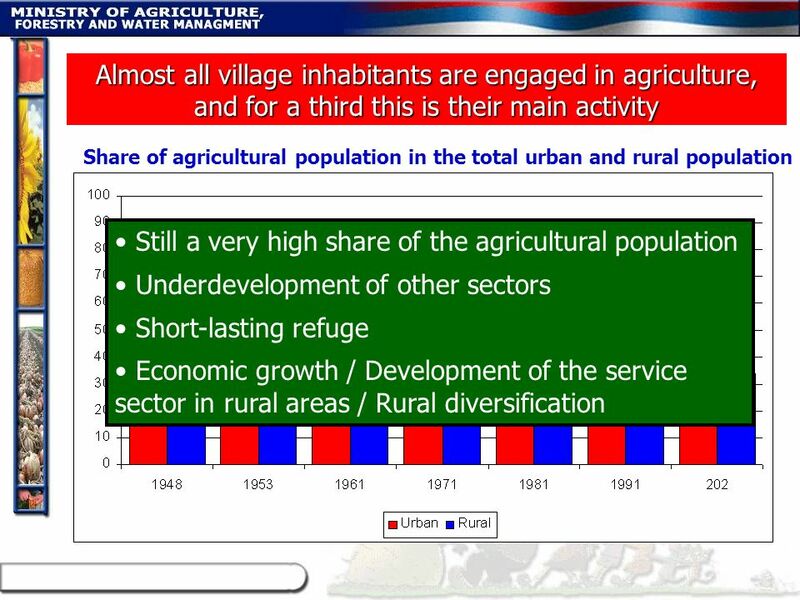 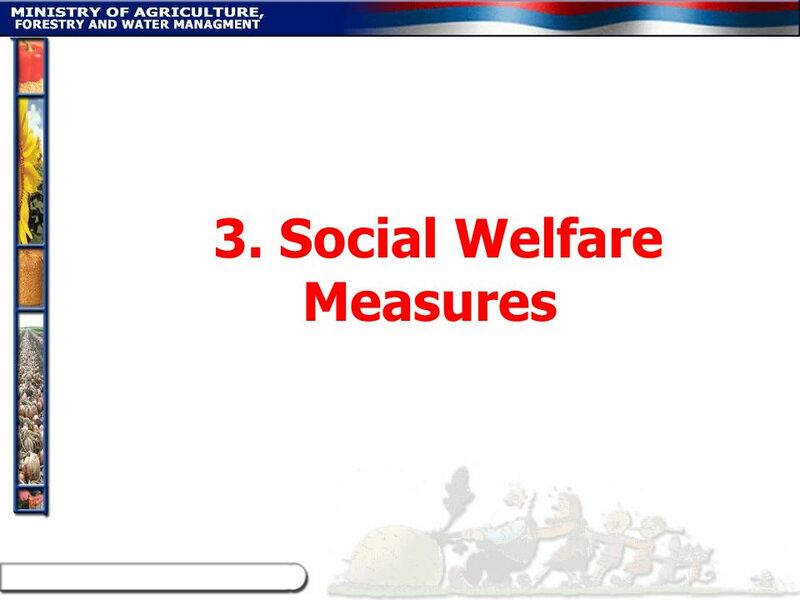 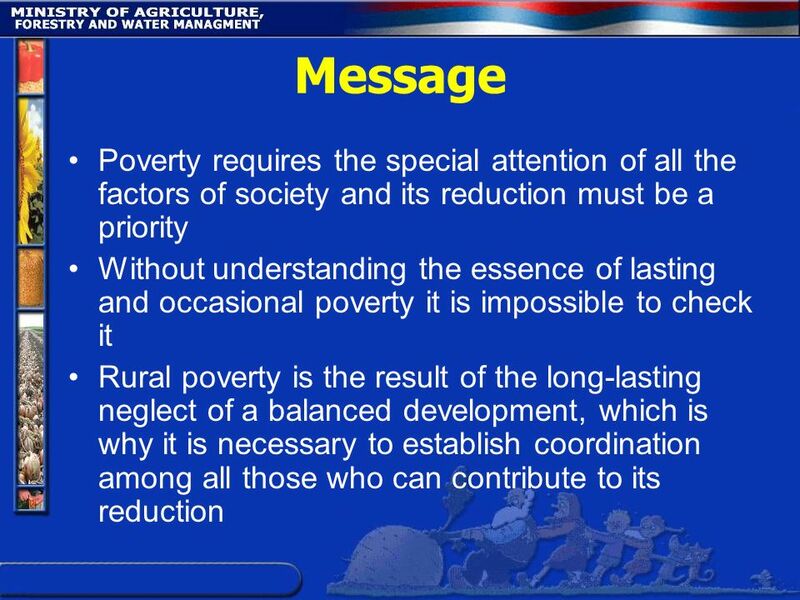 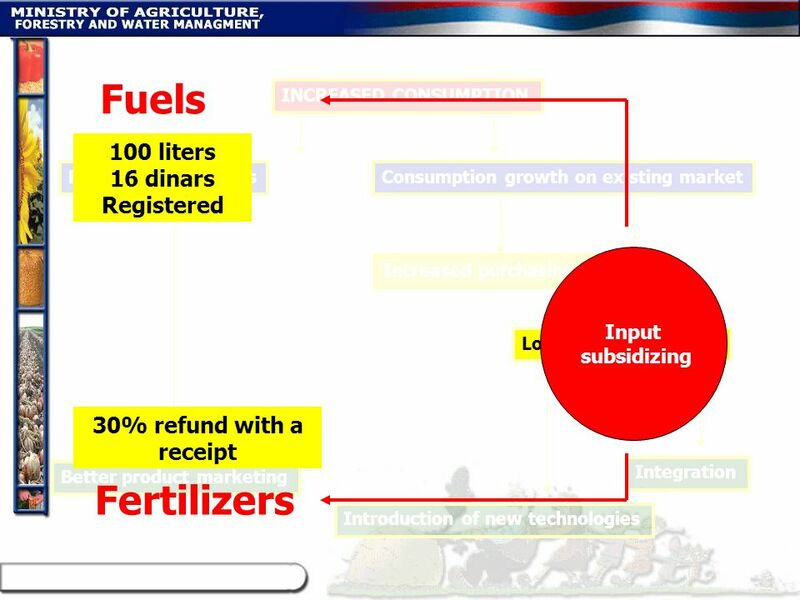 Download ppt "Rural Development and Poverty Reduction"
GOVERNMENT OF THE REPUBLIC OF SERBIA MINISTRY OF FINANCE FISCAL MEASURES AIMED TO INCREASE EMPLOYMENT, SOCIAL SECURITY AND POVERTY REDUCTION. 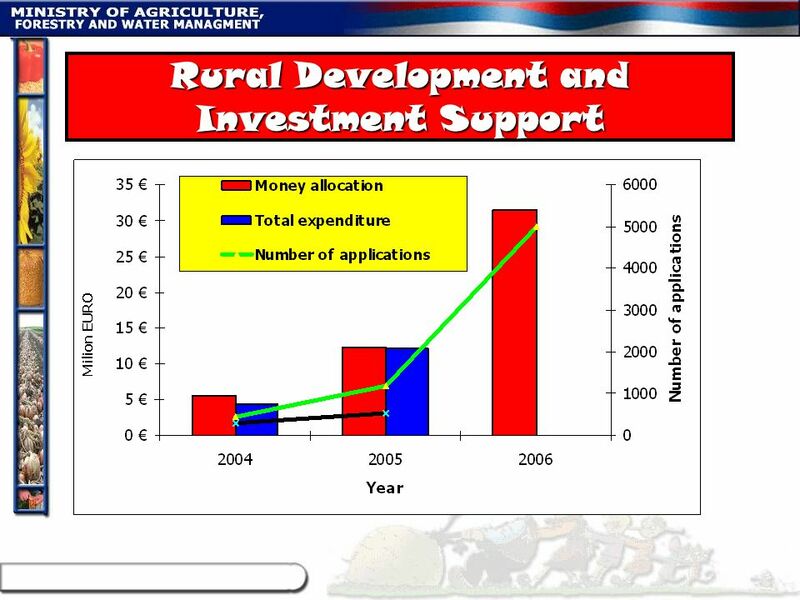 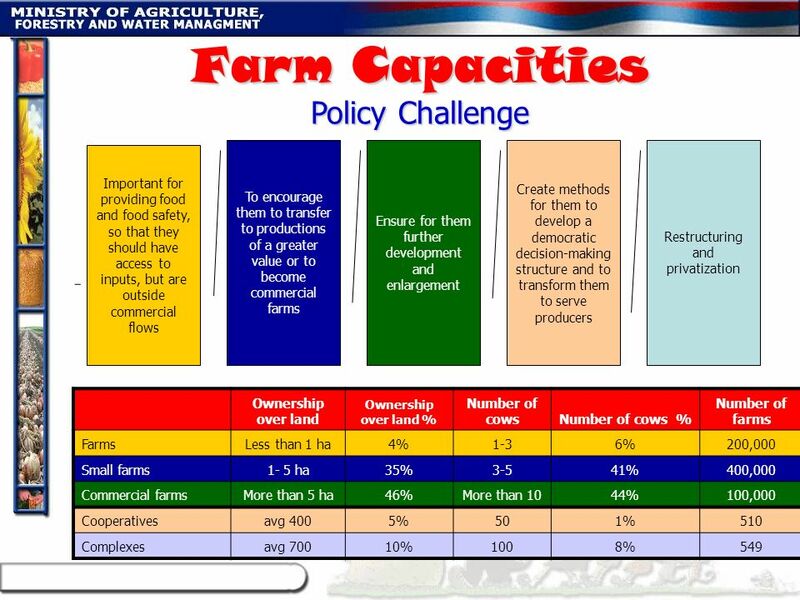 Institute of Agricultural Economics and Information CAP as a suport for young farmer Czech experience The project has received funding from the European. 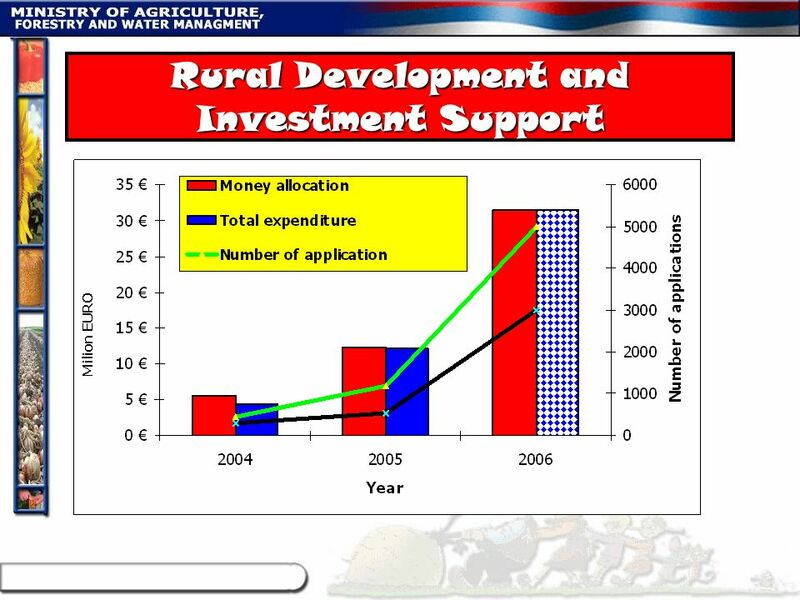 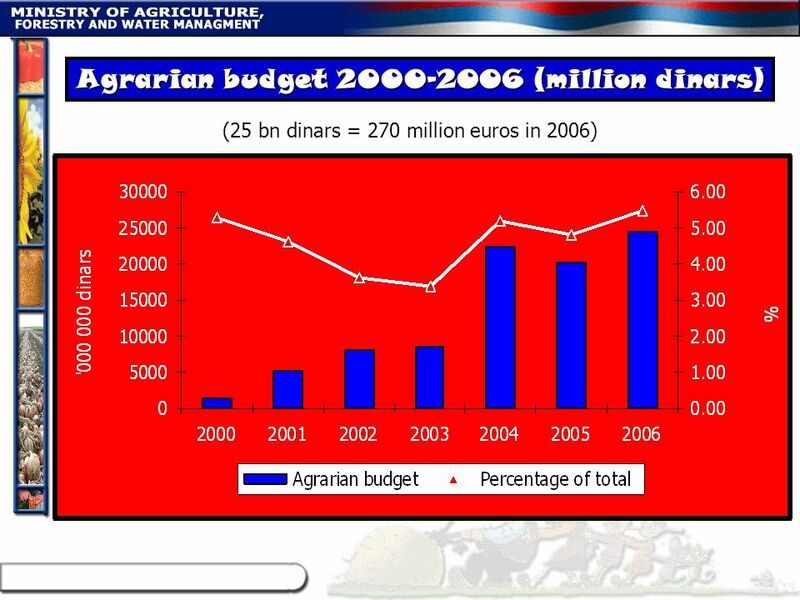 European Commission - Directorate General for Agriculture and Rural Development EU rural development policy Axis 1 DG AGRI, October 2005. 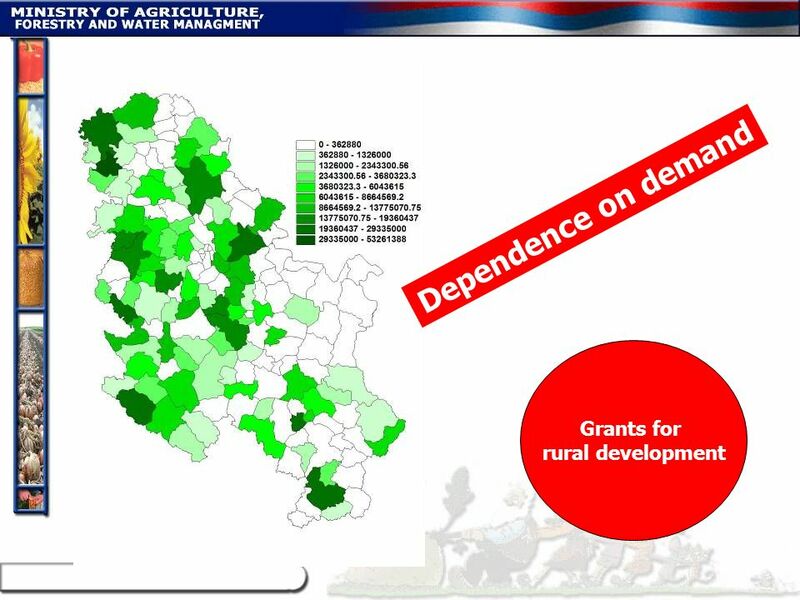 Experiences of Energy Management in Emilia-Romagna Morena Diazzi Emilia-Romagna Regional Government General Director for Industry, Trade and Tourism Regions. 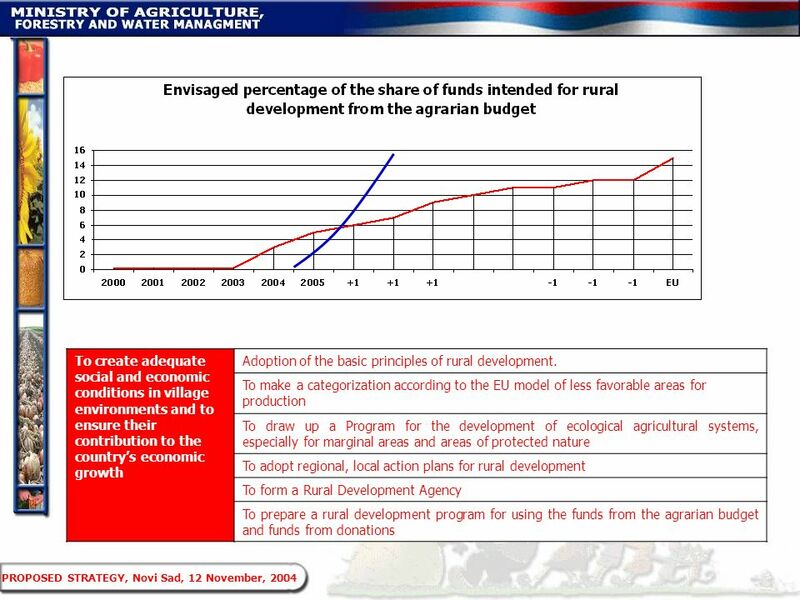 Biodiversity financing mechanisms and Natura 2000 Challenges for financing biodiversity and how to make regional policy work for biodiversity SURF-Partner. 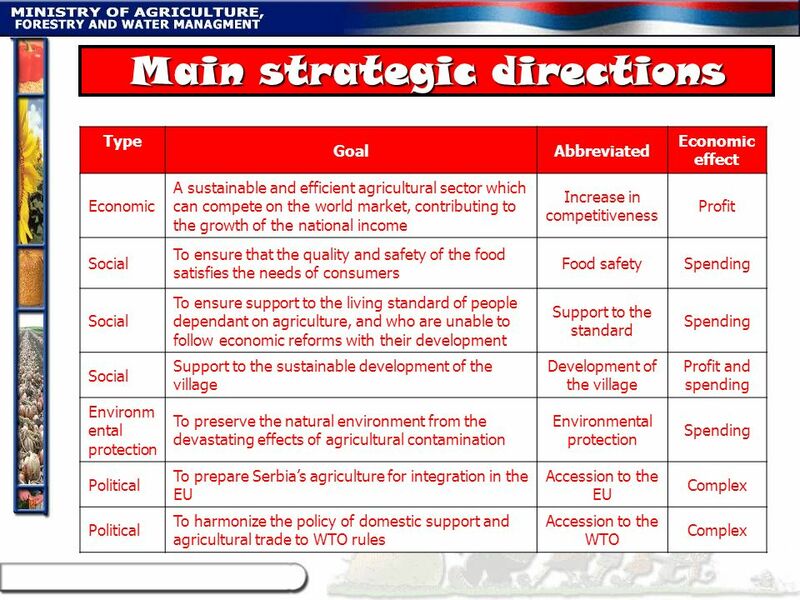 AS/A2 The national economy The UK Economy: a Health Check How well has the economy been performing, and whats round the corner? 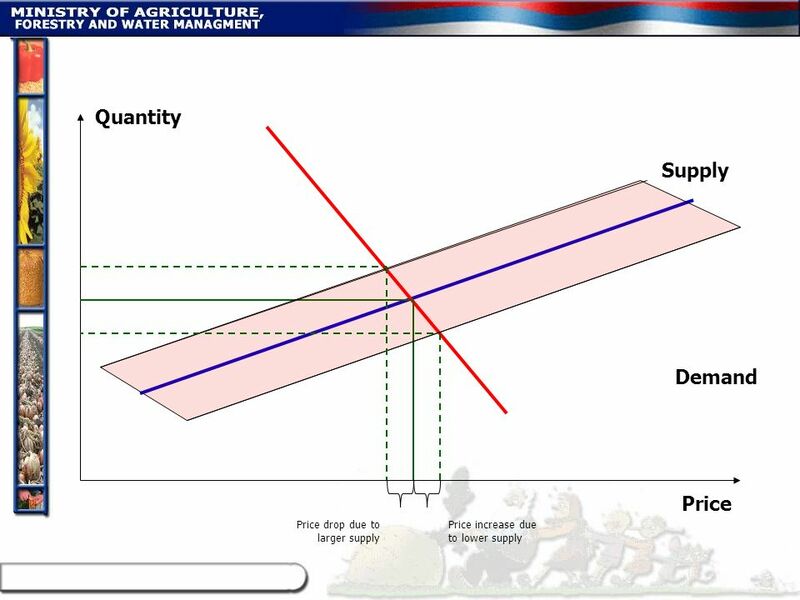 The UK Economy: a Health. 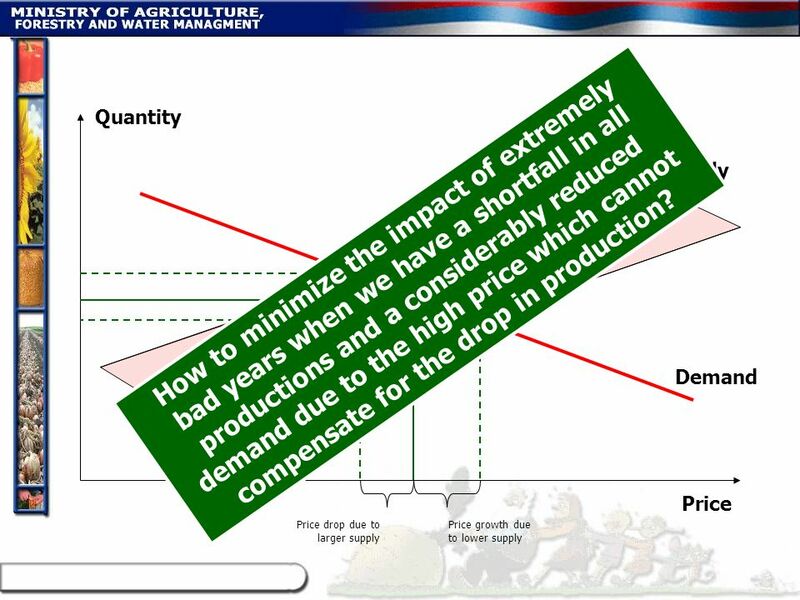 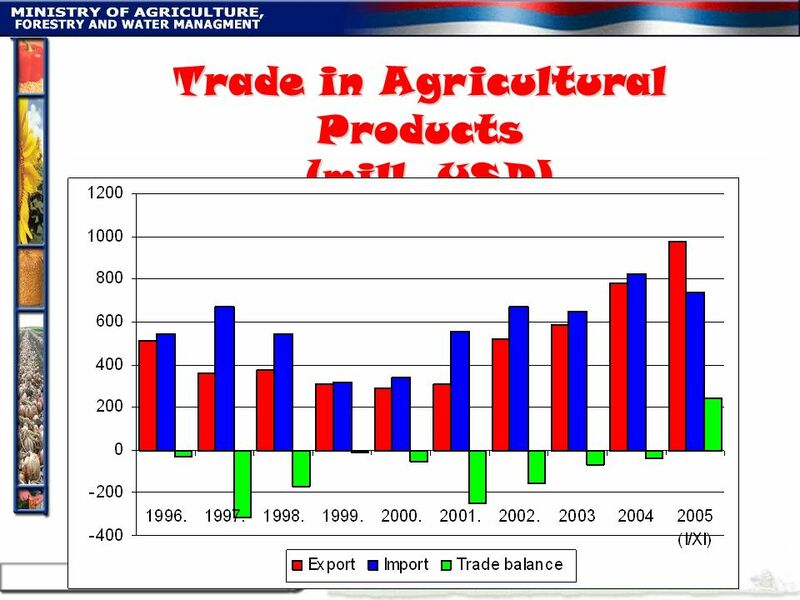 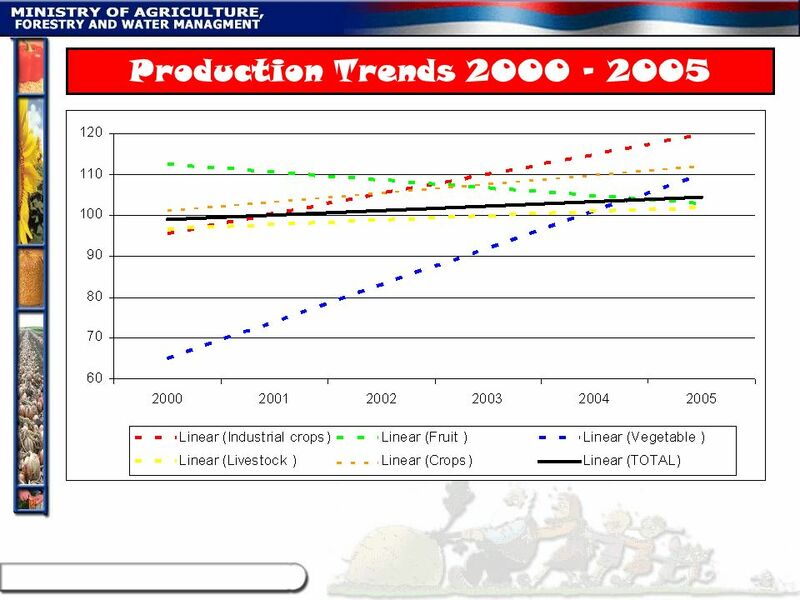 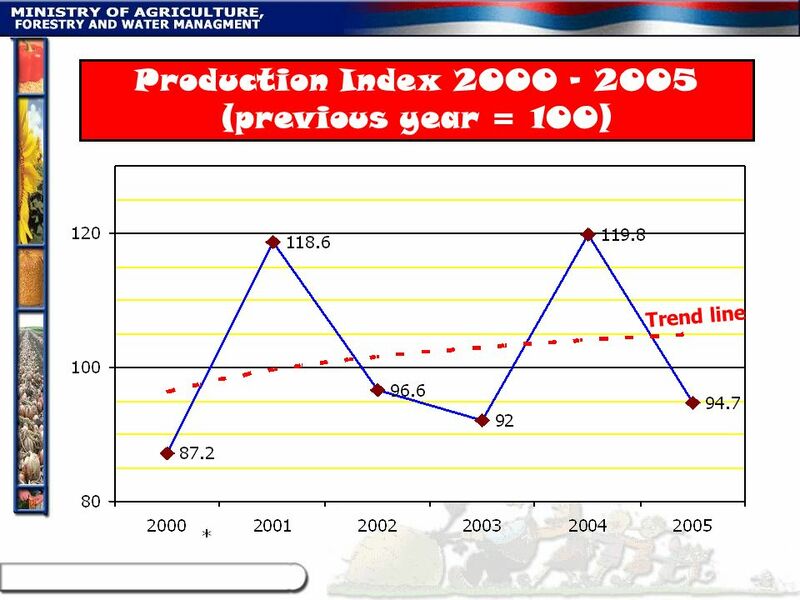 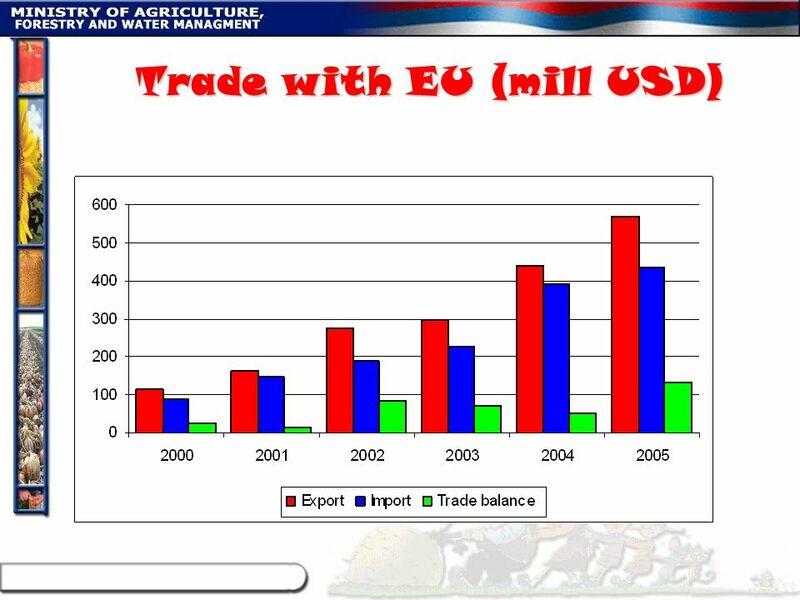 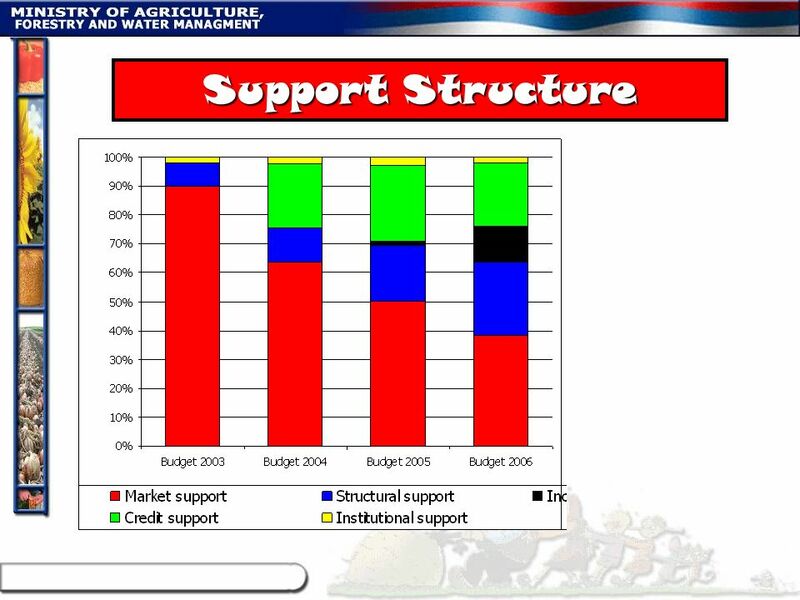 The Impact of Syrian Trade Policies on Agricultural Trade Performance Basheer Hamwi.